Are Your Hips Strong Enough for Batting? Since most bat speed comes from the rotation of the hips (and not from the arms) you want to make sure that your hip rotation muscles are strong. Fortunately, it easy to do. If your hip rotation muscles are strong enough for batting, you will be able to throw them back across the room as you bring your feet together. If you have to struggle to bring your feet together, your hips are too weak for batting, and you will have to try to make up for this lack of strength by overusing your arm and wrist muscles, which leads to injury, poor bat speed and control problems. The easiest, fastest way to increase the strength and speed of your hip rotation muscles is to train with the Somax Power Hip Trainer—the only exercise machine designed to increase the strength and speed of hip rotation for baseball players 17 and older. Are Your Hips Flexible Enough for Batting? Once you have had someone test your hip rotation strength, the next thing you want to do is to measure your hip flexibility. Even if your hips are strong, it will be difficult to rotate them fast if they are really stiff. Next print the photo and draw vertical lines through your knees, and lines through the center of each lower leg. Measure the angles between the lines, as you see above. 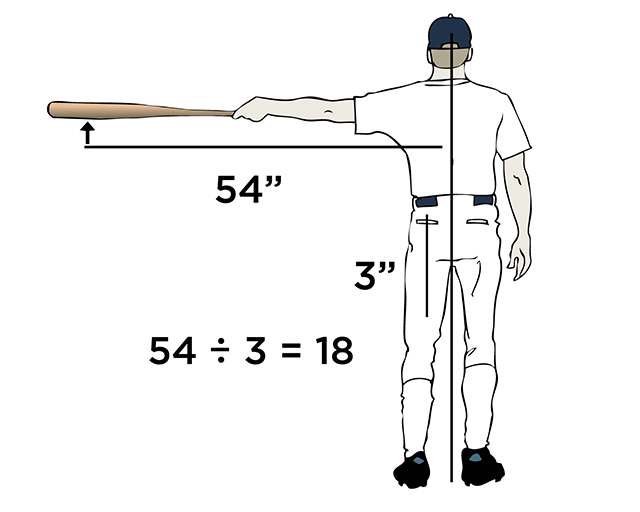 If you don't have a minimum of 60 degrees on each leg, your hips are too stiff for batting. For instance, if your photo looks like this, your hips are way too stiff for batting. 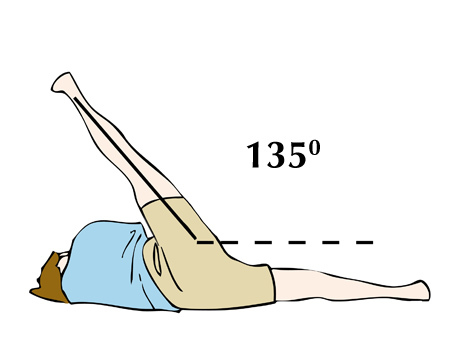 If you have less than 135 degrees of abduction on each leg, then your hips are too stiff for batting and you will increase the stress on your arms and wrists. If your hips are too stiff for batting, take a look at our Microfiber Reduction program—a special form of connective tissue massage that increases flexibility far beyond what stretching alone can do. In the meantime, order our Power Hip Trainer to increase the strength and speed of your hip rotation. You'll notice that you gain more speed without more effort, and, at the same time, improve your control. 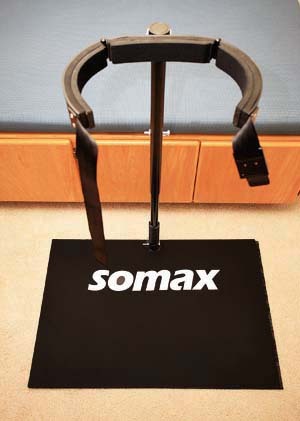 The Somax Power Hip Trainer is the best training aid for players 17 and older. If you're like most baseball players, you will not be able to bring your feet together at all. If you can bring them together, it's only with a lot of effort. If you have at least 45° of internal rotation on each hip and your hips test weak—then the Power Hip Trainer is for you and will transform your baseball game as you increase your speed and control.